Are you drawn to the compliments and observations people make about your vehicle? 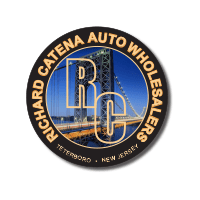 With the pre-owned Lexus models available here at Richard Catena Auto Wholesalers, you will get used to these praises quite frequently. That is because they luxury pre-owned Lexus sedans and SUVs are of the difference-making variety, and certainly grab the attention of those that you pass by on a consistent basis. From the Lexus ES 350 to the Lexus IS 250 and Lexus RX 350, you will discover a pre-owned luxury vehicle that comes with innovation already built in. Whether it be the interior cabin linings, the technology featured at the front of the vehicle or the available driver-assist features to improve your overall awareness, you will get to experience what a heightened drive is really like in these enhanced vehicles. These pre-owned Lexus models are available to test drive today here at our dealership, and we invite you to stop over and really see for yourself how your commutes can be taken to an entirely new level. Our sales team is available to consult for all of the questions that you have, and we can even discuss Lexus financing options whenever you are ready!